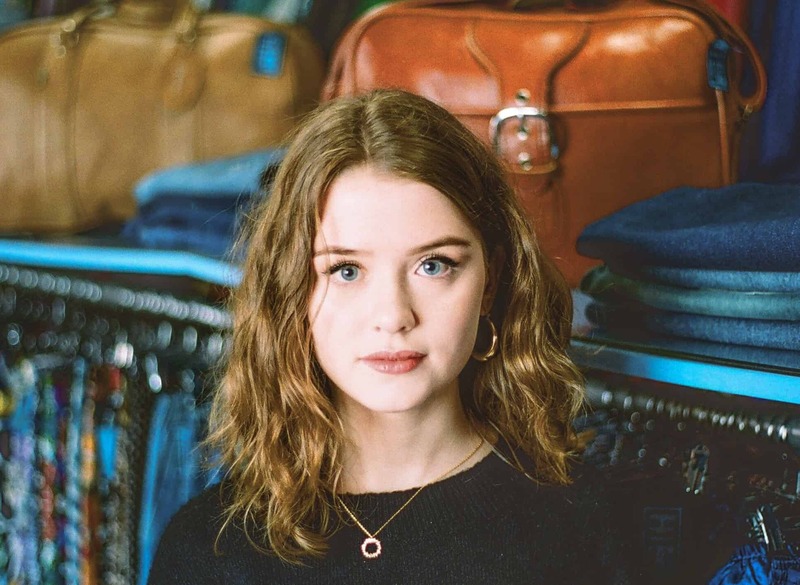 Brighton singer/songwriter Maisie Peters’ personal, cohesively sound debut EP ‘Dressed Too Nice for a Jacket’ makes for a beautiful, powerful, and downright masterful introduction to the world. British singer/songwriter Maisie Peters made her splash in the YouTube world in the mid-2010s before her song “Place We Were Made” went viral in 2017. One year and a few singles later have led to her debut EP Dressed Too Nice for a Jacket (November 2, 2018 via Atlantic Records UK), which somehow summarizes Peters’ first few singles while amplifying her sound and her style even more. The best way to describe this young singer/songwriter is to take the lyrical prowess of Taylor Swift mixed with the delicate yet fierce vocals of Ed Sheeran, and mash them into one human. Maisie Peters has a lot that is solely unique to herself, and the personal, cohesively sound Dressed Too Nice for A Jacket makes for a powerful, downright masterful introduction to the world. The pulsing strings and hypnotizing harmonies are enough to make you want to hit replay. “In My Head” starts the EP off strong – but it doesn’t fall from there. Don’t think you want to hear that either. And just spare me the details. “Enough for You” slows the EP down with intimate synth sounds and Imogen Heap-like harmonies. The title is self-explanatory and the lyrics, true to Peters’ style, take listeners on a journey. “Enough for You” is beautiful. The second to last song, “You to You,” is the pop-iest and most delicious track on the EP. It captures that liberating feeling after a terrible breakup: The feeling of being over it. The euphoric moment of realizing that this person, in fact, was never the one. They were never going to be the one for very specific reasons, and Maisie Peters put it in a song for us. The other two tracks on the EP, “Architecture,” an almost woodsy and raw singer/songwriter tune and “Feels Like This,” a piano ballad love song, tie everything together. Maisie Peters is currently on tour in Europe supporting Tom Walker, but it won’t be long before she’s headlining herself, and hopefully jumping the pond so fans around the world can catch a glimpse of this young star on the rise.